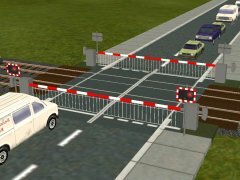 Since the SafeRail project set out in 2013 to assess the feasibility of using satellite technology to improve safety at level crossings, the debate over the dangers posed by locations where rail meets the road has only grown. Many countries are working to phase them out, but the cost of replacing them with new infrastructure is often too high to consider except in the most serious cases. SAFERAIL is a 11 partner consortium seeking to minimise wheel set failures by developing and successfully implementing novel wayside systems for the inspection of wheels and axles of moving trains. The use of satellite technology to continuously track train positions and improve the activation timing of level crossings is in demand in the railway sector, as currently the monitoring of train positions is limited to moments when rolling stock passes particular points along the line. The ability to track trains continuously via satellite navigations systems, the SafeRail team has concluded, is the key to improving the performance of level crossings. Furthermore, the feasibility study identified that while national main lines usually operate with relatively safe and automated level crossings, secondary and branch lines – which are often stuck with sub-standard crossings that are too expensive to upgrade or replace – have the largest potential to benefit from the new technology. The study also found that a satellite-driven system to operating level crossings would also help solve the issue of expense, as a process dictated by global navigation satellite system (GNSS) and a central command and control system would involve no costly track cabling, while each upgraded crossing would require only local infrastructure as all level crossings in the area would share the same central control centre.